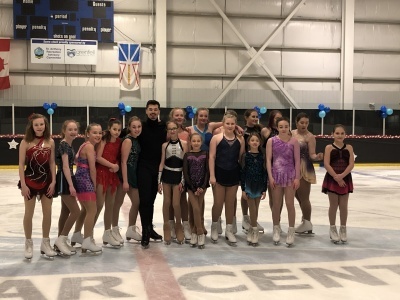 The IGA recently awarded a grant to help the Northern Blades Figure Skating Club in St. Anthony host a figure skating seminar with a professional choreographer. 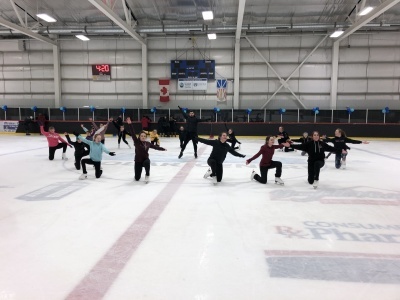 Fifty skaters from the club took part in the seminar, from ages 3-16. The seminar was hosted by Labrador City’s own figure skating star, Joey Russell, who now choreographs and conducts seminars for figure skating after retiring from his successful figure skating career in 2011. The purpose of the seminars was to promote healthy living and physical activity in the area. Furthermore, it has aided in the ability of the clubs program assistants and furthered their knowledge with respect to their coaching abilities. The club also has a number of competitive skaters who compete at a provincial level. The seminar has helped improve their skill level to keep them on par with the coaching of the rest of the province. The IGA is proud to support organizations that give children and young adults amazing opportunities such as this seminar!